Presidental Care (New York) - Book Appointment Online! Our mission is to deliver optimun dental care to our patients. We are committed to providing a lifetime of the finest oral health to our patients and strive to develop patient relationships based on exceptional patient care, excellent customer service, and mutual trust. Patients will be relaxed knowing that their care is our priority which will be provided in a nurturing, comfortable, and caring environment. 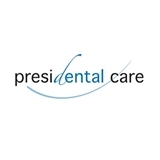 Presidental Care is proud to offer our patients first-class dental care and the best options for restoring teeth to their optimal function and presentation. We will not let the insurance industry’s standard of least costly equivalent care dictate our treatment plan or your care. You don't have Dental Insurance? Not a problem! come and take advantage of our new patient special offer for a full Check up,Cleaning,Xrays and a complementary teeth whitening home Kit for all new patients. Great visit, friendly staff, took the time to explain things to me in an easy to understand way. Kaufman is whip-smart, super cool, and has a great bedside manner! We all have horrible dental experiences. This visit with Dr. Figueroa was absolutely wonderful. The staff and doctor are welcoming and friendly. My comfort and understanding of procedures available to me were the main focus. Dr. Figueroa listened to my issues (bilateral trigeminal neuralgia) and understood my hesitation for certain work that should be done. She LISTENED to me and her staff GOT MY INSURANCE COVERAGE AND OUT OF POCKET EXPENSE WHILE I WAITED!! Am I impressed? Heck yes. I waited 8 months for this exact treatment from that "other" dentist. 8 months to 8 minutes is a remarkable turn around. Dr. Figueroa has some nerves treating me like I actually count and my time was valuable! Great office staff with Dr. Captain Figueroa is where I want to go when I need a dentist. The office is warm, happy and they have a massage feature in the dental chair! MASSAGE WHILE IN A DENTAL CHAIR PEOPLE!!! I'm going back for sure. They'll be lucky I don't move in with them.